Numerous volunteer opportunities exist at the various events and competitions held throughout the year by the National Association of Teachers of Singing. Are you attending a NATS event and wish to spend your time assisting others? Let us know! NATS members, SNATS members, and students of NATS members can volunteer at national events by contacting the NATS Executive Office at 904-992-9101, or by e-mailing info@nats.org. For local volunteer opportunities, contact the leaders in your chapter, district, or region. Be an asset to our team! 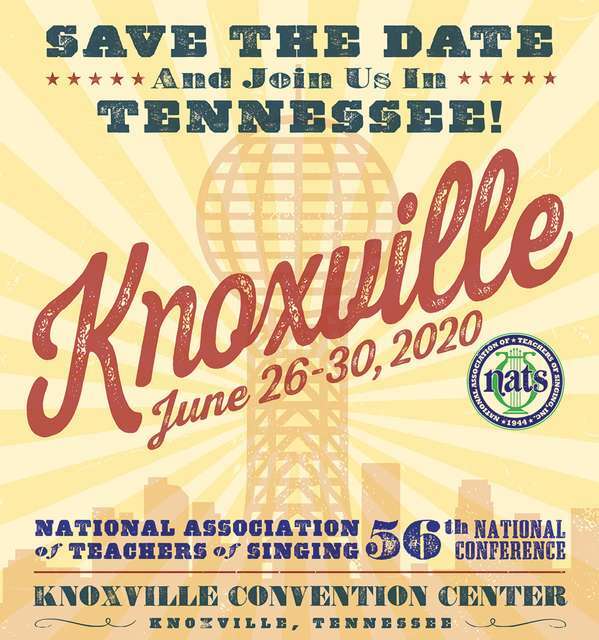 Please make plans now to help support the NATS 56th National Conference, June 26 - 30, 2020, in Knoxville, TN, by giving a gift of time and volunteering to help with registration, session support, ticket staffing, being a Welcome Ambassador, or volunteer support staff member. Any gift of time will be greatly appreciated and will ensure that you are an important part of this wonderful event. For more information, e-mail info@nats.org or call our office at 904-992-9101. Are you a NATS region or chapter with a volunteer opportunity to list? E-mail our office at info@nats.org with the details.